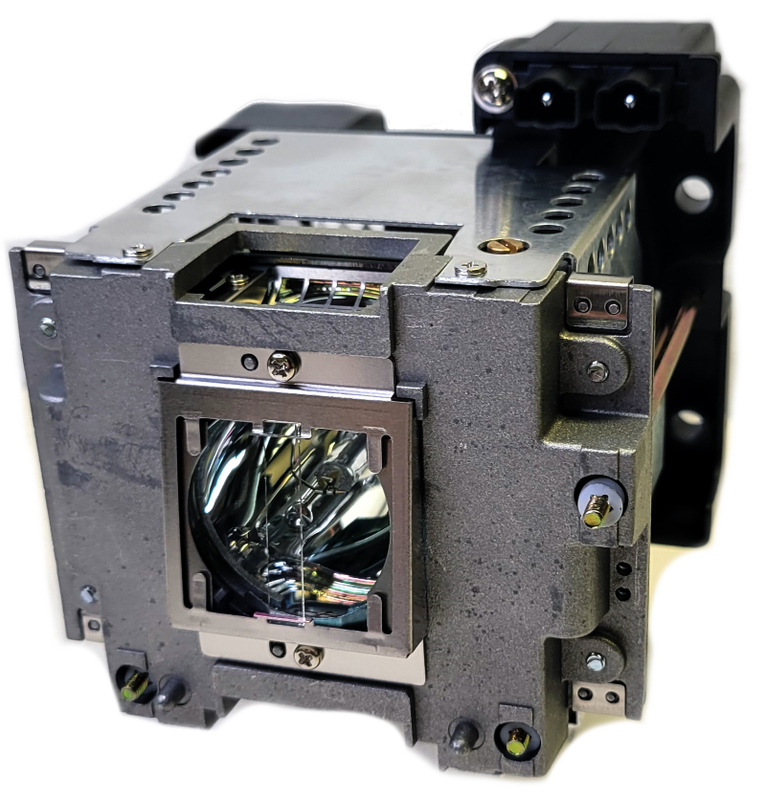 The VLT-XD8600LP Mitsubishi projector lamp replacement comes with a genuine original 350 watt Ushio bulb inside rated at 8,500 lumens (brightness equal to the original Mitsubishi replacement). The VLT-XD8600LP lamp has a rated life of 2,000 hours (4,000 hours in Eco mode). Our VLT-XD8600LP Mitsubishi lamp replacement has superior brightness and lamp life than other cheaper generic replacement lamps being sold elsewhere. Purchase with confidence from Pureland Supply with free ground shipping and a 180 day warranty. Out Mitsubishi projector is happy again! This lamp looks just like the original but we saved over $100.